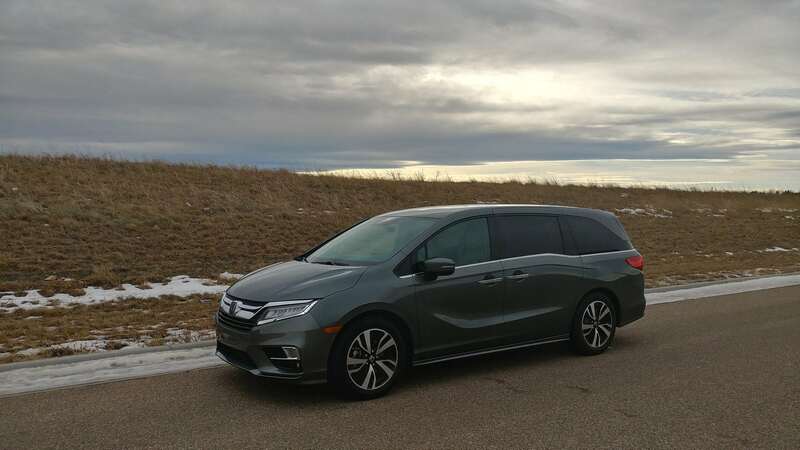 The 2018 Odyssey is the fifth generation of a minivan that entered the market in 1995 when minivans were becoming the most popular suburban vehicles in the U.S. The market has cooled now, but remains steady as these vans continue to be popular as spacious, comfortable family haulers with a lot of versatility. 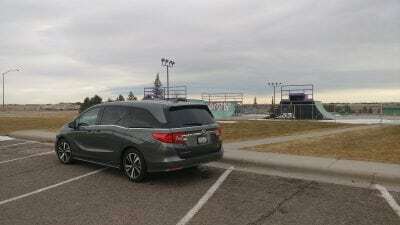 In those respects, the 2018 Honda Odyssey delivers. The minivan buyer is looking for interior comfort, space, convenience, safety, and versatility. Most minivans will deliver on these, but the new Odyssey adds an element of luxury and ergonomic thoughtfulness that is hard to find in its rivals. In-cabin technology and seating for up to eight are primary selling points for the 2018 Honda Odyssey. There are six trim levels to the 2018 Odyssey, starting with the base LX model and moving up through the EX, EX-L, EX-L with Navi, Touring and the Elite. Package options and seating arrangements are determined by the trim level chosen with few ala carte options outside of trim level offerings. The Odyssey LX base model has a rearview camera, automatic climate controls, power adjustable front seating, a 5-inch infotainment screen, and a USB charging point as standard equipment. The EX model adds power sliding rear doors, keyless ignition/entry with remote start, three-zone automatic climate, heated front seats, a removable center seat in the second row, second row window shades, adaptive cruise control, driver safety features, and an 8-inch touchscreen with Apple CarPlay and Android Auto. The EX-L with Navigation adds navigation and rear seat entertainment to the EX model’s amenities. 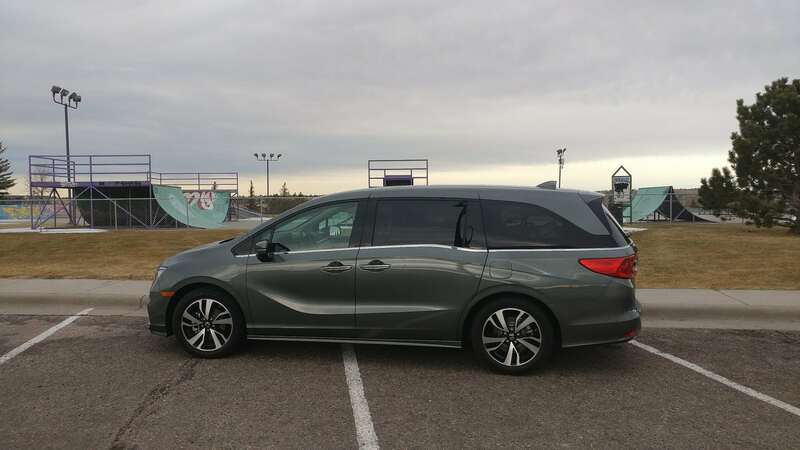 The Odyssey Touring model adds parking sensors, LED headlights, a hands-free power liftgate, an integrated vacuum for the cabin, in-cabin camera, and WiFi hotspot. The Elite model adds power folding side mirrors, noise-reducing glass, larger wheels, a premium audio system, ventilated front seating, and wireless phone charging. The 2018 Odyssey falls into place among Honda vehicles with its short hood, small overhangs, and forward-moving body styling. As a large people-hauling box on four wheels, the Odyssey is limited insofar as how much style can be put into its design. The beltline and rear pillar have curves that create some good effect, though, helping to mask the “box on wheels” generally underlying any minivan. The Odyssey is not as good looking as some rivals, however, and we give kudos to Chrysler for pushing the segment forward into new designs. The Chrysler Pacifica is a great example of what can be done with a minivan, but the new 2018 Odyssey does a good job of pushing back with some unique ideas not found in that rival. Most notably are some of the interior tech and comfort items in the Honda. The driver and front passenger are treated to copious amounts of legroom and plenty of storage and adjustment options. Even at the base level. The center console, in particular, is very well thought out with a lot of versatile storage. The rear doors both slide to allow easy access to the second row, which can be a three-person bench or (more often) two captain’s chairs for comfort levels similar to what’s found up front. The captain’s chairs allows lateral as well as forward-reverse sliding to give easier access to the third row behind. Back there, seating that is adult-friendly is found and up to three across can be accommodated. Some technology options such as the in-cabin camera to view passengers, the intercom system that allows the driver to speak with passengers throughout the cabin (including those wearing connected headphones), and the intelligent seat folding/sliding options for cargo versatility are all smart touches in the Honda Odyssey. Speaking of cargo room, there is a lot of it in the 2018 Honda Odyssey. A large tub behind the third row (when the seats are up) can be used to add cargo space and optional (and very recommended) lids for those tubs can be used to add even more floor space by covering those after they’ve been filled. When folded down, the third row drops into those big tubs to allow for a flat loading floor. An optional vacuum for cleanup, rear entertainment, and more are all available in the Odyssey (see trim level notes above). 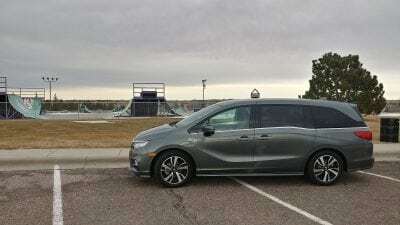 The 2018 Honda Odyssey is surprisingly spry given its size and mission. 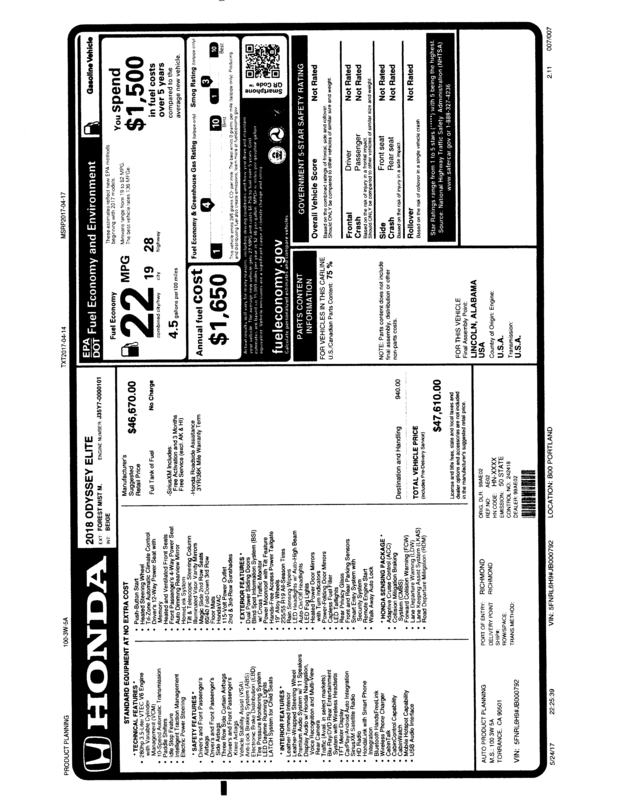 Like most Honda vehicles, it offers a lot of get-up in the initial go. 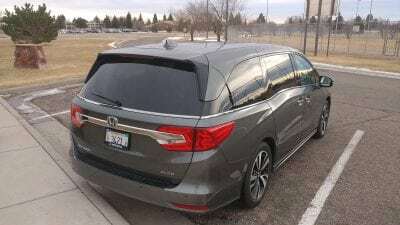 More so in this new model thanks to a well-done nine-speed automatic transmission that does a lot with the available power of the 3.5-liter V6 under the Odyssey’s hood. An optional ten-speed automatic on some models of the Odyssey ups that ante with a little more low-end umph and better highway passing. 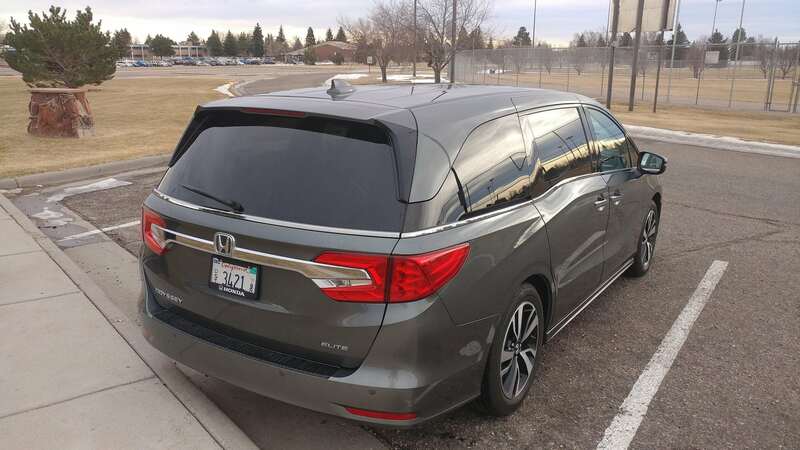 Our greatest concern driving the 2018 Odyssey was with rear visibility, especially at the blind spots. Its quiet ride quality and well-tuned suspension for absorbing the road are high points. Fuel economy in the 2018 Honda Odyssey is estimated at 22 mpg combined, per the EPA, with 19 mpg in the city and 28 mpg on the highway. We found those expectations to be near reality in the real world with a week’s worth of driving returning about 20.5 mpg overall. The minivan market has narrowed considerably to just three options, including the Odyssey. The Toyota Sienna offers comparable amounts of interior space and comfort as well as all-wheel drive as an option, but is generally more expensive than the Honda Odyssey. Also competing and, frankly, setting the bar for the minivan is the Chrysler Pacifica, which is more stylish than the Honda and just as ergonomic and useful. A plug-in hybrid option for the Pacifica also offers a very fuel efficient option for those looking to up the ante there. 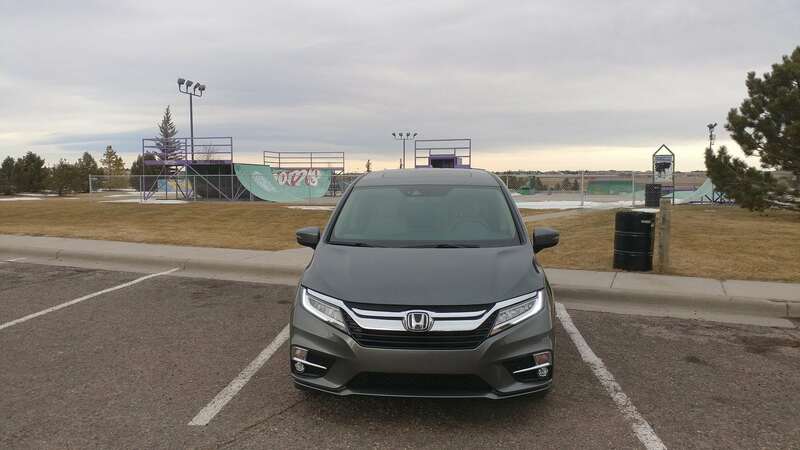 Compared to competitors, the 2018 Honda Odyssey is a good choice on today’s market, especially if reliability expectation and safety are top considerations. We would definitely recommend cross-shopping the Chrysler Pacifica before making a final decision, however. Drive Quality: In the 2018 Odyssey, drive quality is very good with a lot of up-sides and few tradeoffs. Family-friendly interior: with plenty of versatility and lots of comfort for everyone. Value-oriented pricing structure: with a lot to offer at every trim level for the money being spent. Not as stylish: The Odyssey is not as stylish or easy on the eyes as might be found elsewhere. 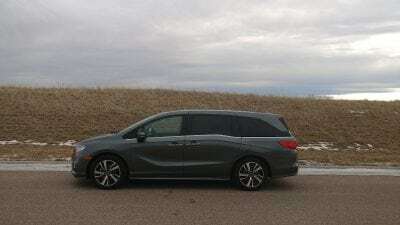 Appeal dampens given competition: The Chrysler Pacifica is our top choice for many reasons and the Odyssey just doesn’t match up on most of them. As a family-mover, the 2018 Honda Odyssey is excellent in almost every way imaginable. There may be better-looking or more svelte competitors on offer, but the Odyssey ticks every box and delivers value to boot. The Honda may not be our top choice in minivans, but the Odyssey is definitely a contender. 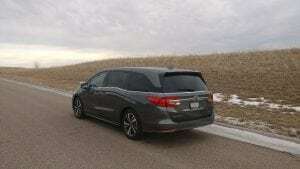 The 2018 Honda Odyssey was a manufacturer’s press loan for about a week. During that time, the minivan was driven for about 250 miles with varying passenger and cargo loads and in both dry and inclement winter conditions. An automotive enthusiast for most of his adult life, Aaron has worked in and around the industry in many ways. He is an accredited member of the Rocky Mountain Automotive Press (RMAP), the Midwest Automotive Media Association (MAMA), and freelances as a writer and journalist around the Web and in print. You can find his portfolio at AaronOnAutos.com.